Our map indicates that the gun industry challenges the usual political divides. Texas has the largest firearms sector, but California is a very close second. This suggests that Republicans might think about a counterintuitive approach next time they campaign on the Second Amendment. 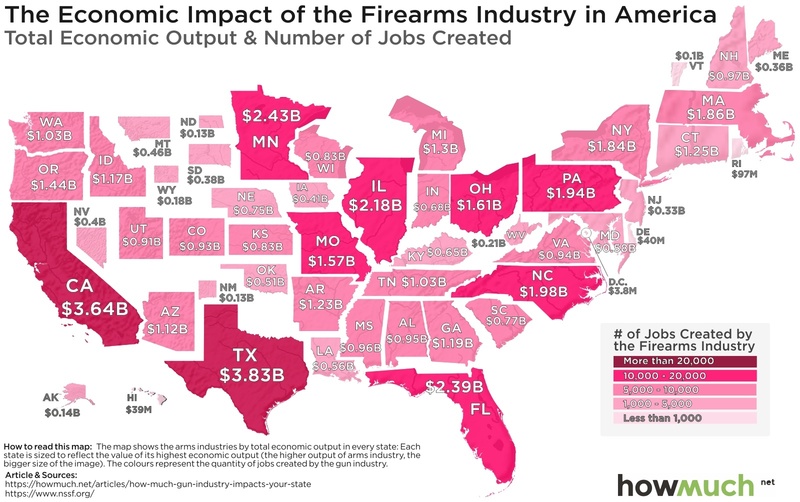 If you want to promote gun-friendly legislation, just highlight the industry’s contributions to the economy.